Pelican Point Media Co-CEO Jaclyn Ann Suri has been enjoying great success as an executive producer on feature films in recent years, and has now announced the launch of a talent management division of the company. Jaclyn Ann Suri is currently executive producer on the comedy feature film “Ripped” which premieres in theaters on Friday, June 23, 2017. The film stars Canadian Screen Awards nominee Russell Peters and Action on Film Award winner Faizon Love, and centers two free spirited stoners who, after smoking some top secret pot created by the CIA in 1986, find themselves catapulted into 2016. With 30 years of their lives lost, our now balding and overweight friends use their uncomplicated enthusiasm to get their lives back on track and figuring out the modern world. “Ripped” was directed by Christopher Award winner Brad Epstein from a screenplay that he wrote with Primetime Emmy Award nominee Billiam Coronel. Epstein also produced along with Dallas International Film Festival Grand Jury Prize Award winner Suzanne Weinert and Pelican Point Media CEO Ike Suri. 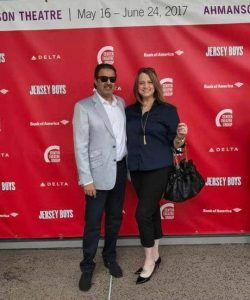 Jaclyn Ann Suri and her husband, Pelican Point Media partner Ike Suri, have announced the launch of the company’s talent management division. Jaclyn Ann Suri is a former model, singer, and actress. Her acting credits include the NBC series “Law & Order”, the CBS series “Michael Hayes”, and the John Stewart MTV comedy series “You Wrote It, You Watch It”. Suri is also an experienced stage actor who has performed in such productions as “Les Miserables”, “Joseph”, “Grease”, “Anything Goes”, among many others. During her professional modeling career, Suri has graced the pages of such magazines as Glamour and Modern Salon. After attending the Long Island High School of Performing Arts, Suri went on the attend NYU’s Tisch School of Performing Arts, and The Lee Strasberg Institute. Since relocating to Los Angeles from New York, Jaclyn Ann Suri has worked for number of producers and directors at Paramount Pictures. Jaclyn Ann Suri is a former professional model who has appeared in ads for Ray-Ban, Escada, IW Harper Bourbon, Teen Spirit and Vidal Sasoon. Next up for Jaclyn Ann Suri is executive producer/producer the comedy feature film “The Brits Are Coming”, starring Academy Award nominee Uma Thurman, four-time Golden Globe Award nominee Sofía Vergara, Academy Award nominee Tim Roth, Golden Globe Award nominee Parker Posey, and two-time Saturn Award nominee Crispin Glover. The project is directed by James Oakley, and is produced by Jaclyn Ann Suri’s husband Ike Suri and Dave Hansen. 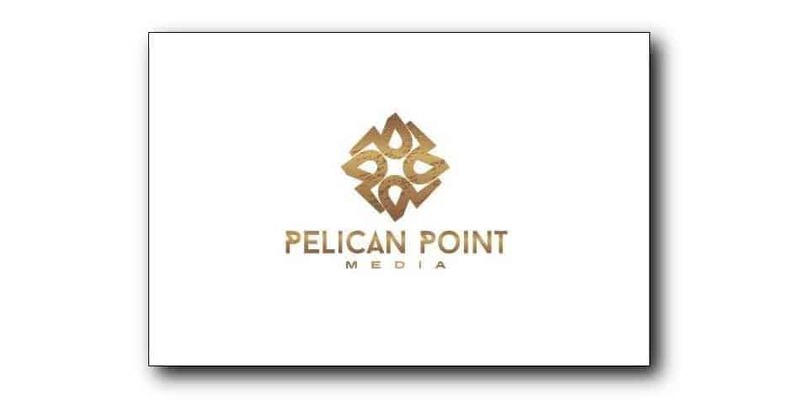 Suri’s Pelican Point Media has a number of films is development including the action crime thriller feature film “The November Man 2” starring two-time Golden Globe Award nominee Pierce Brosnan. Additional recent executive producing credits for Jaclyn Ann Suri include the Lionsgate crime-drama feature film “Exposed” starring Saturn Award nominee Keanu Reeves; the 2016 horror film remake “Cabin Fever”, directed by Travis Z and starring Samuel Davis, Gage Golightly, Matthew Daddario, Nadine Crocker, and Dustin Ingram; “Midnight Man” starring two-time Saturn Award nominee Robert Englund; and the horror film “Intruder” starring Steven Beckingham, Teresa Decher, Louise Linton, Susannah Mars, Mary McDonald-Lewis, along with Grammy Award nominee Moby. 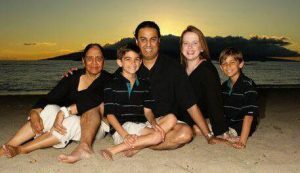 Jaclyn Ann Suri, seen here with her family, is an avid supporter of organizations and charities such as Crohns & Colitis, Short Gut syndrome, Autism, and was a former President of Adoption Crossroads in Manhattan and Make a Wish Foundation.